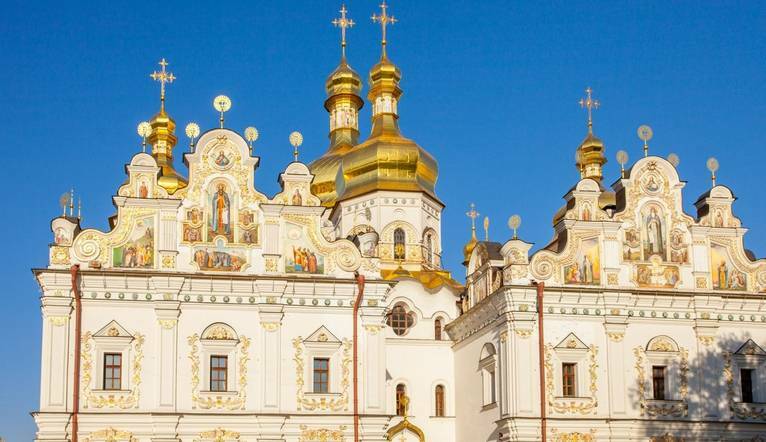 After famously hosting the 2017 Eurovision Song Contest, Kiev is a fabulous city with bucket loads of intriguing history, buzzy neighbourhoods and great atmospheric bars and restaurants. Experience one of Eastern Europe’s oldest cities. With our base in the heart of the city close to Khreshchatyk Street and the Palatsu Sport Metro station we can explore bright palaces, culture spots and even the odd golden domed church. We have the opportunity to take a full day tour to the nuclear disaster site of Chernobyl. Following an introductory briefing, we head past a Checkpoint and into Chernobyl town and visit the secret Duga military radar station, see landmarks including the power plant, Kopachi Village and its abandoned kindergarten and Reactor #4. Head to Pripyat town which is now a silent and see collapsed schools, run-down hospitals, and derelict cinemas. Please see our Useful Information section for further details and ‘do’s and dont's’ on this tour. Following our welcome drink and dinner on the 1st evening, we head off the next morning for our token guided walking tour. We will see the main street which stretches from European Square though to Maidan and Bessarabaska Square, St Michaels Golden Done Cathedral and S. Sophia Cathedral and the Golden Gates. Our guide will be able to recommend a couple of restaurants for lunch after which we may like to discover the city in our own time. Alternatively why not take a tour to Mezhyhirya to see where the corrupt former president Yanukovich used to live or head to the Kyevo-Pechersk Lavra monastery and caves, Motherland Statue and Great Patriotic War Museum. We would not recommend this city break for those with walking difficulties due to its steep streets. The transfer time from Borispol Airport to the hotel is approximately 35 minutes depending on traffic. Optional tours may be available to you depending on the time of year and numbers interested. All tours can be paid for in Euros but in cash only. The exact amount will be given at your Information Meeting. Your Tour Leader will help arrange these for you but may not necessarily accompany you. The exact amount will be given at your Information Meeting and your Tour Leader will help arrange these for you but may not necessarily accompany you. Please call or visit our website for cost. 3) You are allowed to take photographs and videos of everything except at the Chernobyl Nuclear Power Plant and the checkpoints which are guarded. Your guide will be able to offer full advice on this. 7) It is advisable to bring along for the trip: your personal first aid kit, water, sandwiches and /or some snacks to eat in the bus. In the middle of the tour there is a lunch for the participants of the trip. If you need a vegetarian diet, please let us know when getting on the bus. 8) Individuals who are intoxicated with alcohol, or in a state of alcohol /drug hangover are not allowed to enter the Zone. It is forbidden to use alcohol and drugs during a trip. It is prohibited to enter the Zone with any weapon and / whether ammunition. 9) Please, be prepared for a long day, some long drives, walks, and not modern restrooms.